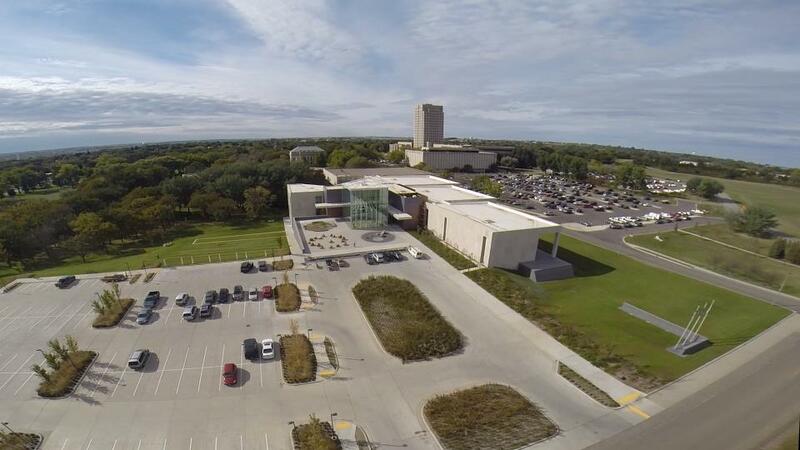 The North Dakota Heritage Center & State Museum is located on the North Dakota Capitol Grounds. From Interstate 94, take exit 159 and go south until you see the Heritage Center entrance sign on the east side of the Capitol Grounds. Convenient parking is available in the parking lot located on the east side of the building. Bus/RV parking is available on the south side of the lot. Enter the ND Heritage Center through the Northern Lights Atrium. The ND Heritage Center & State Museum can also be entered through the west doors, near the Sakakawea and buffalo statues. For this entrance, use the parking lot located between the Capitol and ND Heritage Center. Monday-Friday, 8 a.m.-5 p.m.; Saturday and Sunday, 10 a.m.-5 p.m.
Monday-Friday, 8 a.m.-4:30 p.m., except state holidays, and second Saturday of each month, 10 a.m.- 4:30 p.m. The ND Heritage Center & State Museum is closed Easter, Thanksgiving Day, Christmas Eve, Christmas Day, and New Year’s Day.